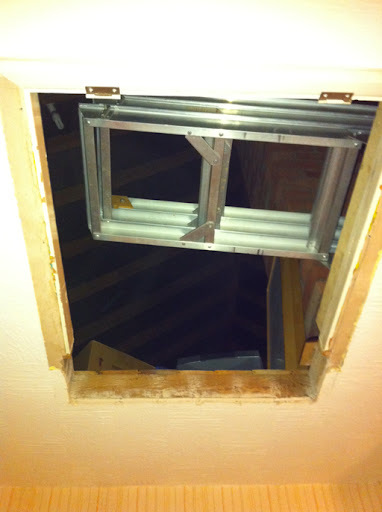 The loft hatch project moved forward today. 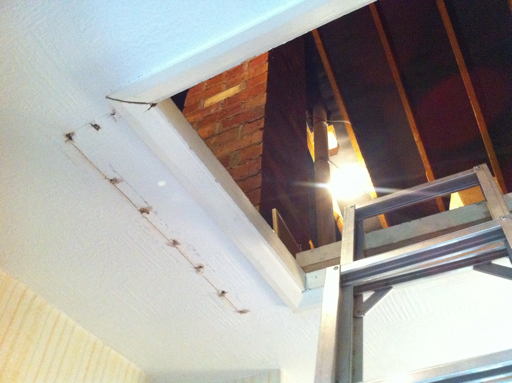 The previous hatch was removed, the ceiling plasterboard cut out with a jigsaw and a support (not a joist!) removed. One board has now made it into the loft proving the new hole is big enough. Tomorrow I will replace the trim and construct a new hatch door. Good loft build. I wish I had frond this sooner and i would have given a fellow welsh friend a free ladder.